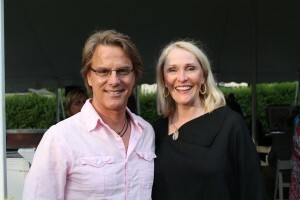 It was a busy pet events day this past Saturday, June 9th, 2012 in the Hamptons. In Southampton, Paws Across the Hamptons took place in Southampton Village starting at Lola Prentice Park and over a hundred dog owners and very eager dogs yipped and yapped through the streets for a mile and a half walk. 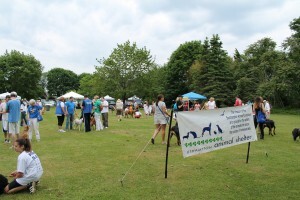 The dog walk was fundraiser for the Southampton Animal Shelter Foundation – and there were a lot of local adorable adoptable dogs and puppies on hand. NBC News Anchor, Southampton resident and long time animal rescue supporters Chuck Scarborough, his wife Ellen and their dog took part in the walk. Mayor Mark Epley his wife Mariane and their rescue dog were also on hand for the festivities. Even celebrity English bulldog Igor did the walk, well part of it anyway. Everyone was having a wooftastic time and after this event ended, many of the dog walkers and their dogs headed to the Pet Fest that was taking place in Bridgehampton, NY. 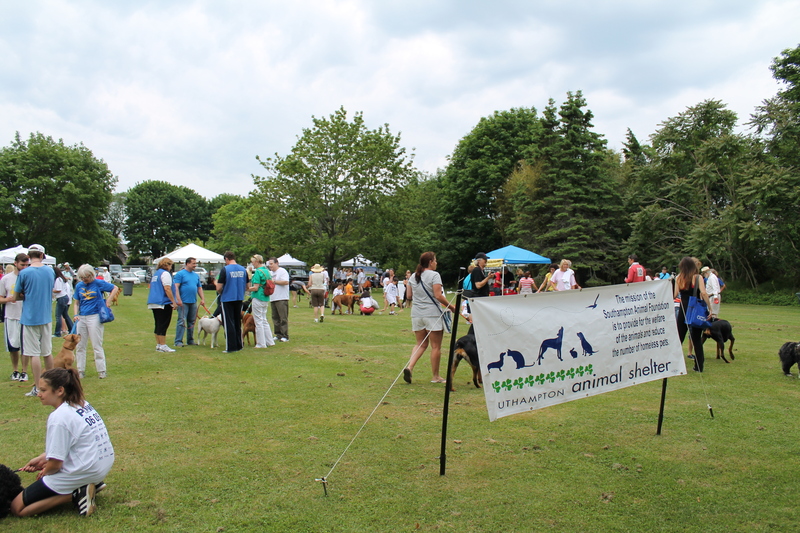 This first Pet Fest brought out many rescue groups from all across Long Island and vendors too. With dogs dancing, frisbee dog demo’s, a training demo from Southampton Animal Shelter Foundation, and a Fashion show put on by Gregg Ohler, publisher of Cesar’s Way magazine and Ada Nievesof the Pre-Westminster fashion show – there was something for everyone to enjoy. 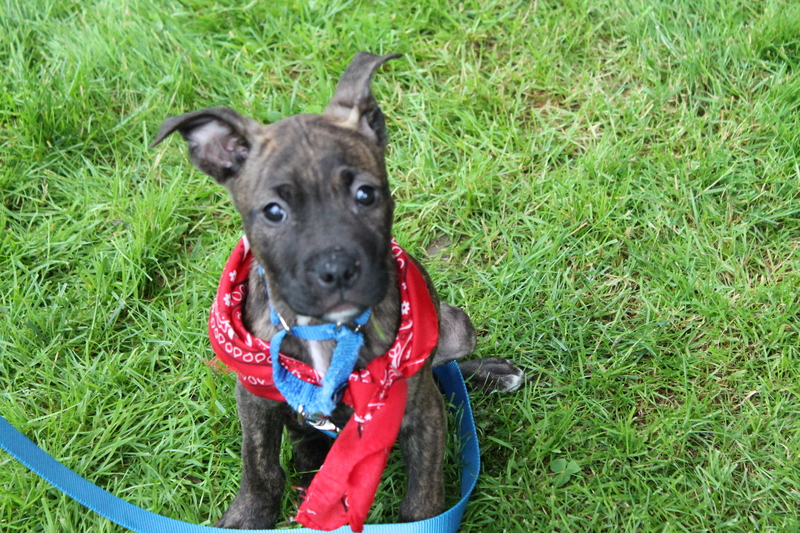 Many adoptable pets were available through the rescue groups there. (I fell in love with Shiloh an 9-week old brindle pit bull puppy who was rescued locally from the Shinnecock Indian Reservation in Southampton, see her picture below!). This day long event took place at the Bridgehampton Historical Society and was brought to the Hamptons by Watermill resident and animal advocate, Jewel Morris. In the evening there was a VIP event for the Pet Hero Awards, a ceremony where many people in the pet rescue world and were honored for their hard work, dedication, passion and even lifelong commitment to helping animals in need. 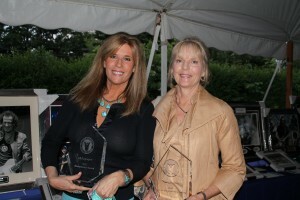 Many touching and even funny speeches were given about each award recipient. 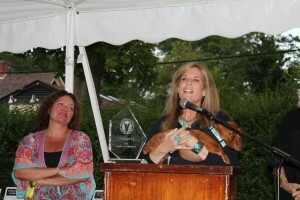 Jill Rappaport of the Today Show was honored the Pet Humanitarian of the Year award for all her work she has done and continues to do with many different organizations. See all the award winners here. See below for slide show of the day and evening’s event!